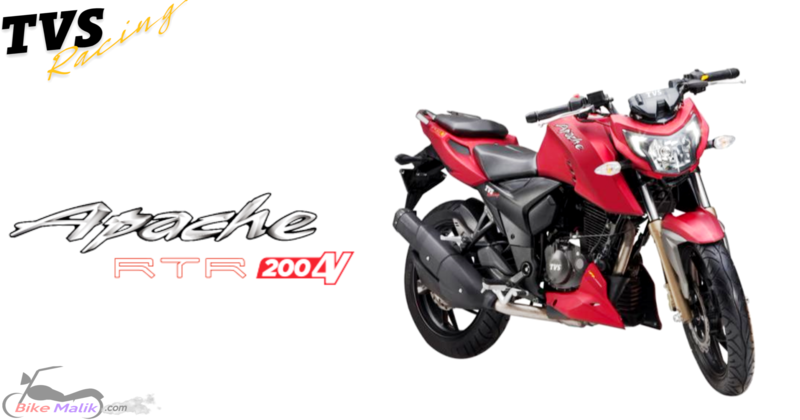 Another streetfighter got debuted under the most desirable flagship brand TVS is nothing but the new Apache RTR 200 4V. This cruisy commuter comes with the all new dynamics with fruitful elements. The bike now appears to be plusher from every dimension. Talking about the performance, it now comes powered with a 4-stroke, single cylinder, liquid cooled, 197.75cc engine, with all expectations at peaks. 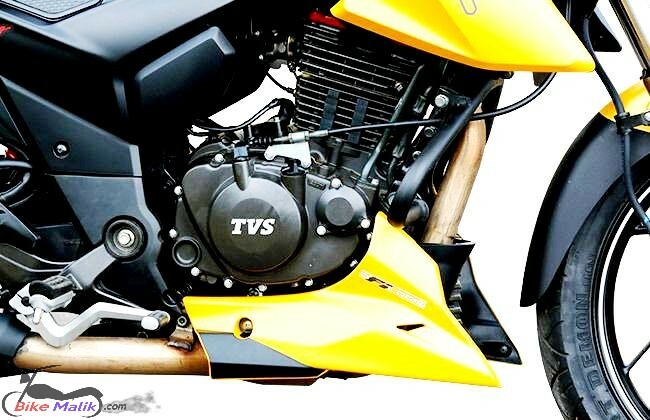 TVS Apache 200 4V directly contends with the segment ruler Bajaj Pulsar NS 200. The main intention of the TVS is to draw the attention of customers with its potential cruisy commuter. With all the potentiality with matured performance TVS surely achieves the expectations. 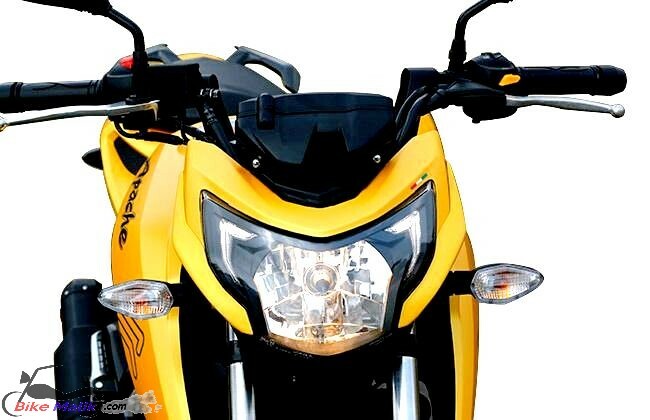 The all-new Apache RTR 200 4V boasts a new premium design as compared to the previous, that looks like an international commuter. 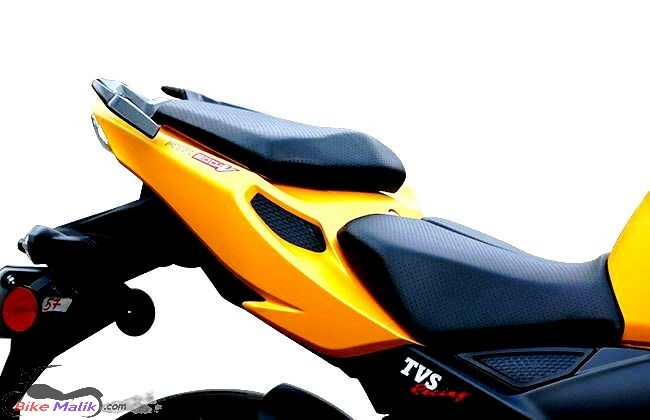 This time TVS was very particular about the design language in order to make it more & more aggressive and sturdy than any other in the segment. 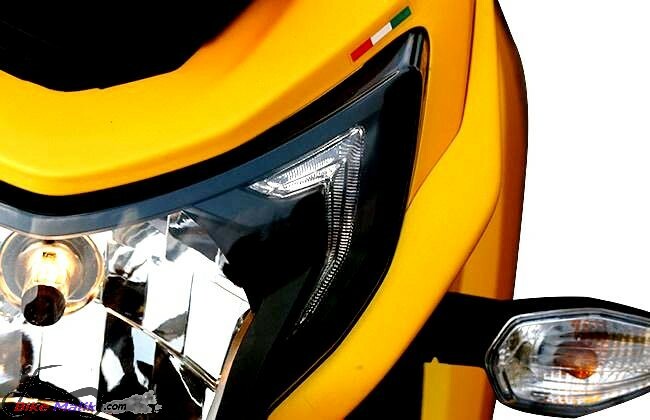 TVS Apache RTR 200 4V front gets a sharp headlamp unit with daytime running lamps at corners, which is upmarket. The bike comes in 7-elegant color choices which look to be more opulent. The aggressive front with glossy styling enhance the outlook, but the problem is, only particular niche will accept this type of finish. As of the side profile, it boasts a sturdy and massive fuel tank that portrays a new sophistication. 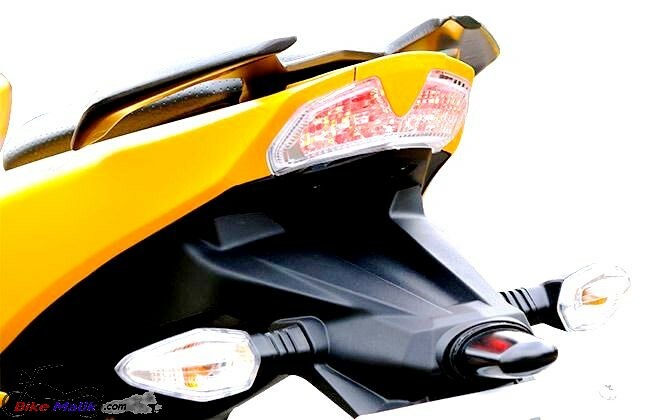 The tail of the bike is fascinating, which implies that, it is ready to race. The split seats, inverted split companion grab rails under the pillion seat shows that it is robust in nature. The LED tail lamp is the significant styling element at the rear. 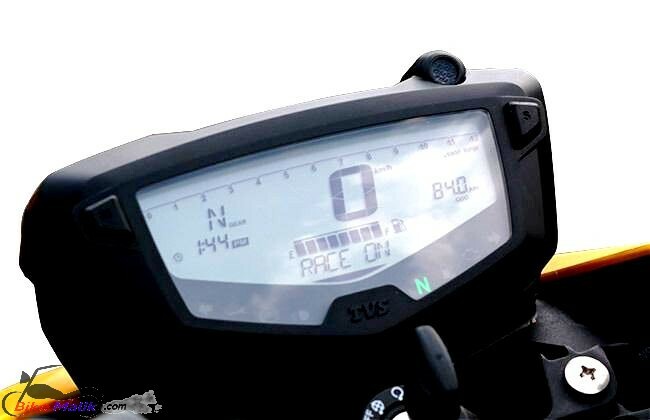 As of the features, it comes loaded with a light blue backlit console with a speedometer, tachometer, odometer, trip meters, fuel gauge, clock and lap timer as well. It is the first and foremost bike in the TVS lineup to get a fully digital instrument console. Finally, it is best in the class model with high-end quality fitments. 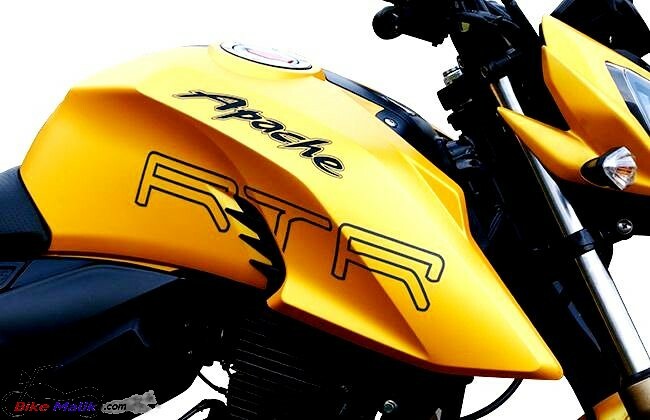 The all-new Apache RTR 200 4V gets a new powerful engine that gets powered by a 4-stroke, single cylinder, liquid cooled, 197.75cc engine with 2-optional engines (carburetor and fuel injection). The carburetor engine churns a 20.5 PS of power @ 8500 rpm and torque of 18.1 Nm @ 7500 rpm while the fuel injected engine produces a power of about 21 PS @ 8500 rpm and a torque of 18.6 Nm @ 7500 that comes mated to a 5-speed transmission gearbox for both the variants. It has a claimed top speed of about 127km/h. Performance wise, this commuter delivers a potential power so as to facilitate the user who loves naked streetfighting. 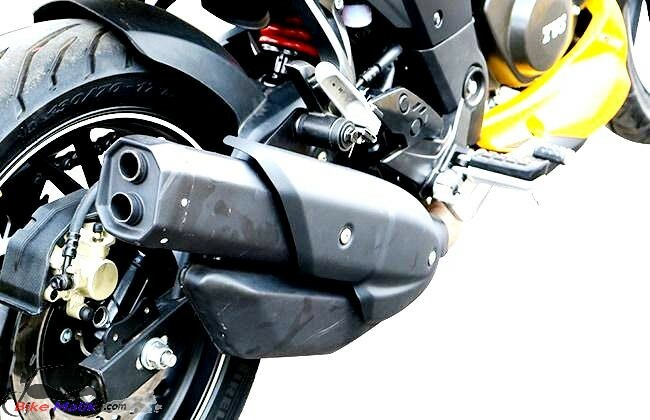 The engine refinement with impressive mileage additionally adds the name tag of “missile” to the motorcycle. Finally, it is a good missile with an energetic performance. 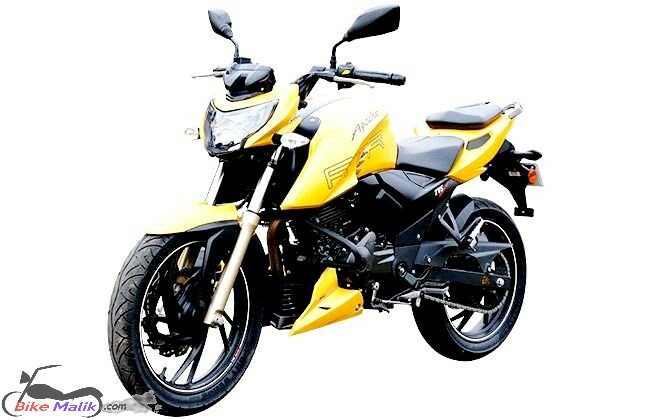 The bike is a boon for the young studs with a considerable amount of energetic performance at the same time a reliable suspension setup to handle and control the motorcycle. To stop this missile, TVS incorporated a 270 mm petal disc brake at the front and a 240 mm petal disc brake at the rear, with an optional ABS. It gets a hydraulic telescopic fork at the front and a mono-shock at the rear which is also the first bike to boast mono-shock absorbers. Another thank full element is the employment of double-cradle split synchro stiff frame that ensures comfy rides to the rider and pillion. Finally, the riding dynamics are up to the mark. The three variants that are available were considerably priced and also negligible too with this kind of performance. 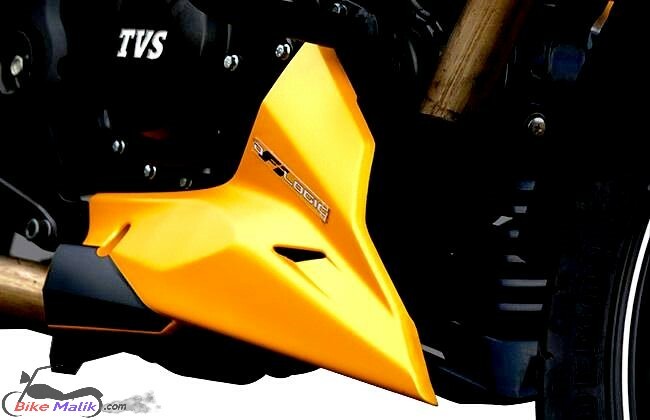 The missile is the best word to describe the performance of the TVS Apache RTR 200 4V. 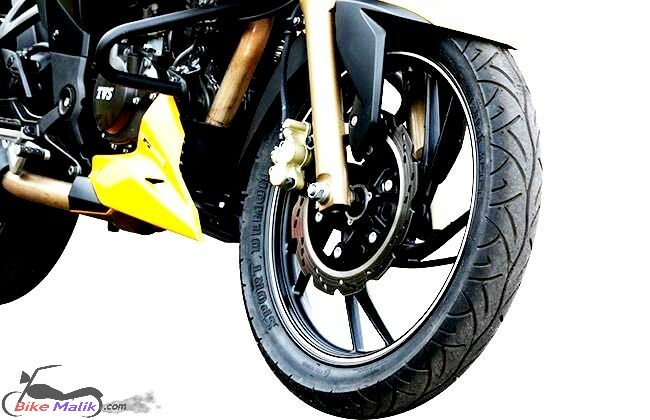 The amenities like the design, optional ABS braking unit, and comprehensive styling impress the mankind but it is quite discomfort for the short ones, other than this it is worthy streetfighter in the range.